It has already been revealed that The Doctor’s new coat is a Cromie. One of my enterprising readers has already been onto Crombie and has got a very prompt reply! 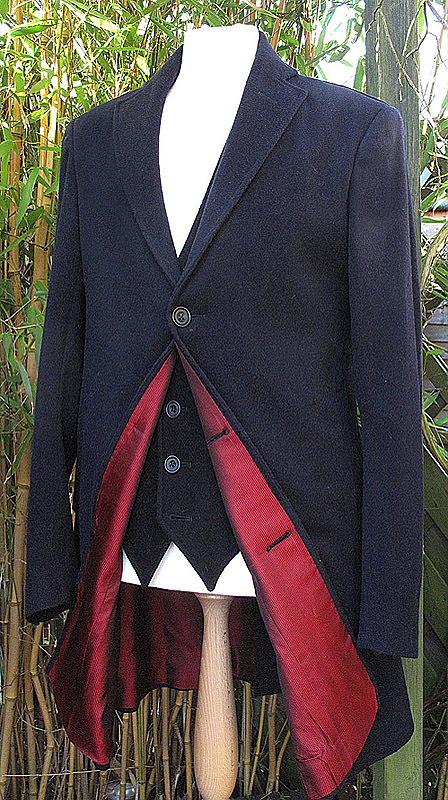 The Doctor Who coat is a Made To Measure Coat created by our Made To Measure service team in exclusive for the tv series. The coat is based in our iconic and classic Crombie Coat. 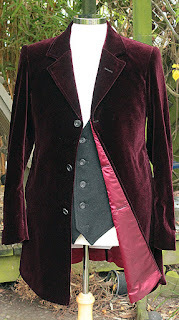 Feel free to have a look and hopefully you would like this exclusive coat. I notice there is an option to ADD TO WISHLIST. I think at £795 for the standard version - adding to a wish list will be all I’ll be doing on this one! I knew you'd have the coat identified! I'd seen a link to the Crombie, but could tell that wasn't it, at least not off the rack. Frankly, I like the original better than the custom job the BBC got. I don't like Capaldi's diagonal pockets, which give too plain an outline, and I prefer the original buttonless look, though I can see why they modified that. But WTF is up with that cardigan and those pleated trousers??? Any idea what the premium for the made to measure service is? Or is that included? 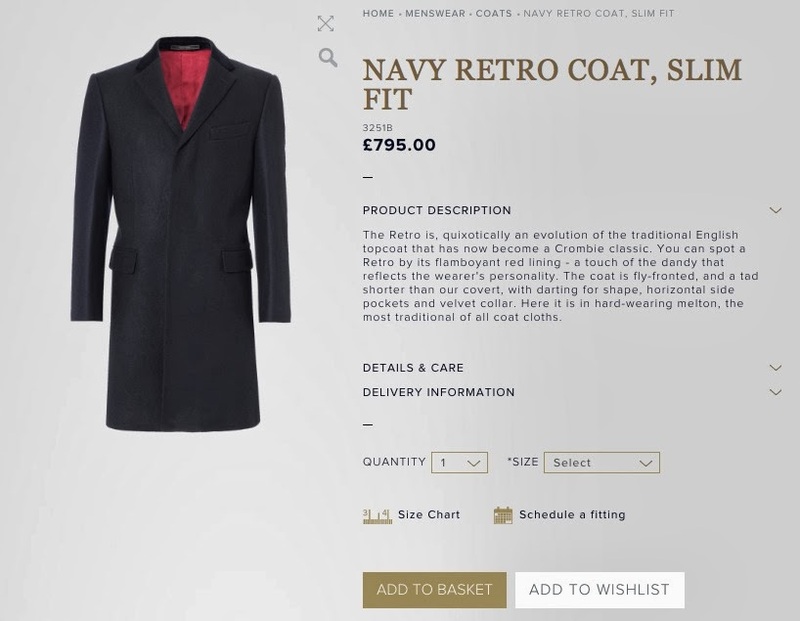 I understand the premium service is £1600 and this is NOT the standard coat. 1: the pockets are 2 diagonal(almost vertical), rather than horizontal. Suspect their is some hidden details here to discover! The following will be on interest to UK budget cosplayers. can be ordered from here http://www.moss.co.uk/Blazer-Navy-Epsom-Overcoat-964891609 for a £79 including postage and packing (s bit cheaper than the offical version :-) ). The Moss Bros coat differs from screen seen as has 4 buttons on the sleeves, rather than 5. plus is a tailored fit rather than slimline - so more liberal around the stomach - but this may suit your frame better. Cloth looks slighly thicker than the screen melton. 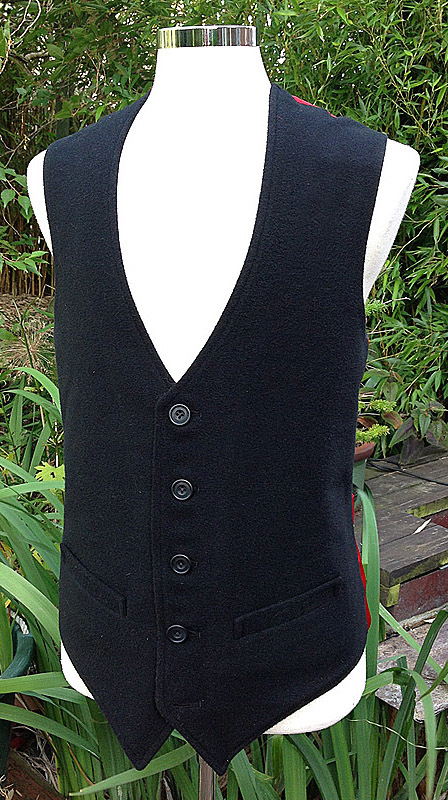 For the cardigan get a Henbury one from ebay (multiple sellers) but make sure it is the older 5 button one and not a 6 button version. I believe HB722 is the henbury code for the older version. This can be got for around £15 to £25. The buttons are not right so get some mother of perl, 4 hole buttons to replace the horn ones (extra £5) - some sewing for you to do but does save you £122 on the screen crombie original.